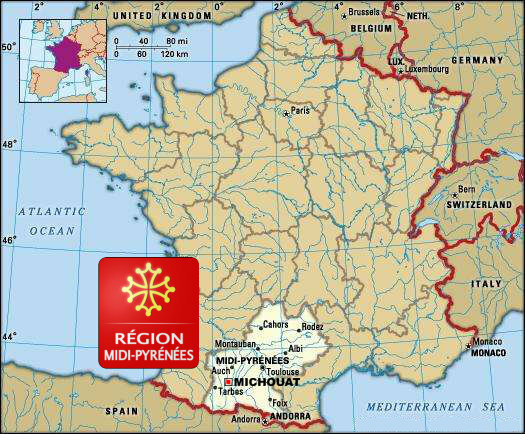 The department of the Hautes Pyrénées is part of the relatively undiscovered and tranquil south west of France known as Gascony. The small village of Vidou is situated just 3.5 kilometres from the 13th century bastide market town of Trie sur Baïse (pronounced Tree sue’r By-ease), which offers all day to day requirements, with banks, bakers, supermarkets, butcheries, pharmacies, doctors, dentists and tourist information bureau. A bustling market takes place every Tuesday. Market traders in Trie sur Baïse setting up stalls early every Tuesday morning, rain or shine. 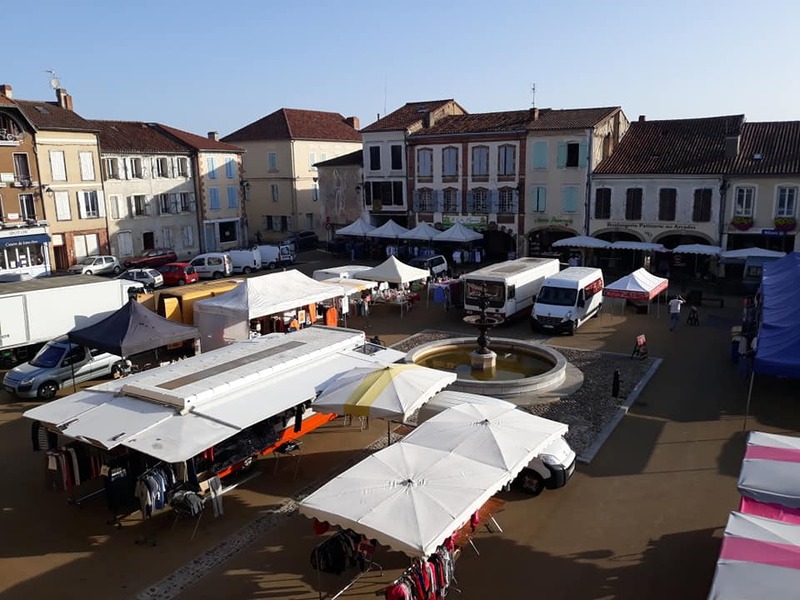 Trie has a varied programme of events including classical music concerts in the 13th century monastery, antique and night markets and a week long fête in August, with a range of entertainment. The surrounding countryside offers spectacular scenery, walking, cycling, horse riding. Trie sur Baïse in days gone by. Not changed much! There are many attractions which can be visited within approximately one hours drive, ranging from outdoor sporting pursuits, the Pyrénean National Park, caves, castles, fortified churches and bastide towns to name a few. Places to visit for a day trip include Lourdes, Toulouse, Pau, the medieval town of Carcassonne, Biarritz and the sandy beaches of the Atlantic coast. 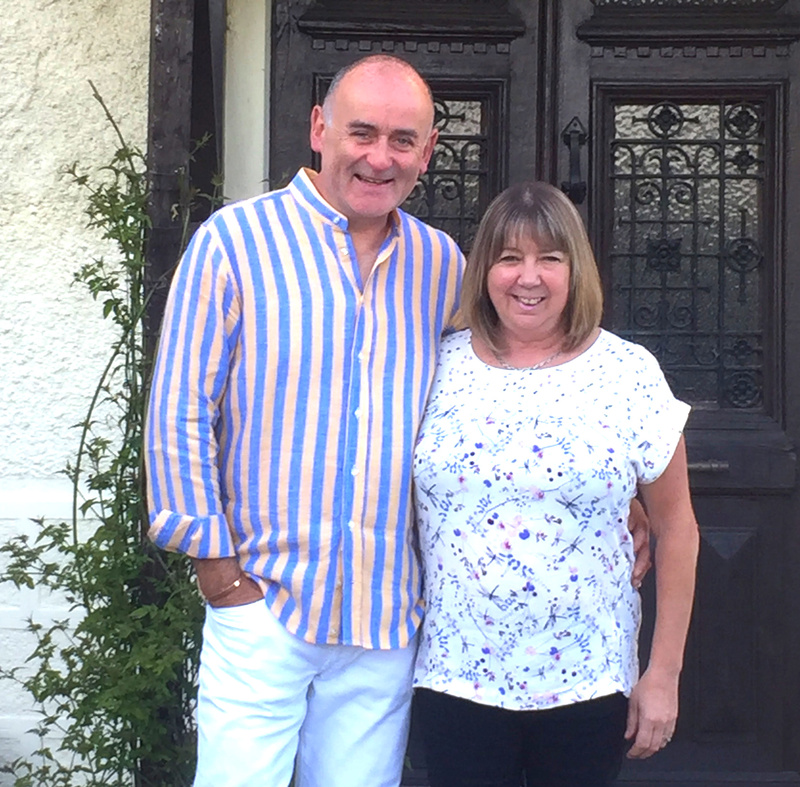 An hours drive will take the tourist across the border and into Spain. Biarritz/St Jean de Luz: Biarritz is an easy 2 hour drive. Visit the fashionable town, sit at one of the street bars and ‘people watch’, see the wind surfers, sample some of the golden beaches that stretch both north and south of the town, or more of the many other attractions. 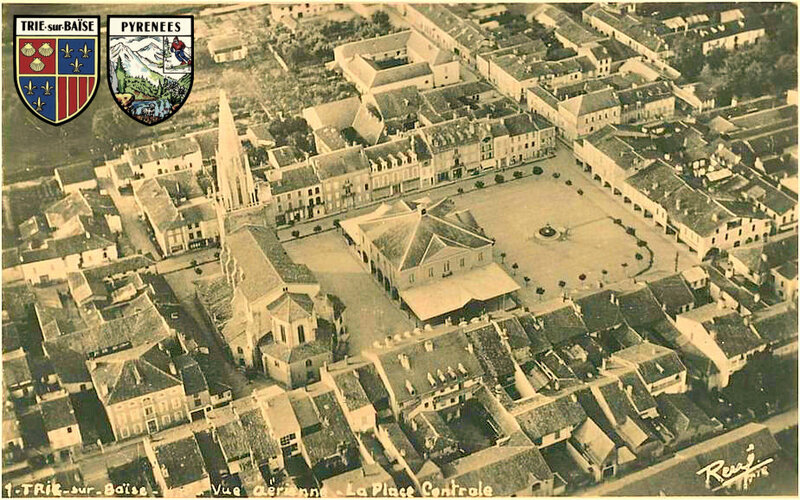 Pau: In one hour you are in the centre of a town that has, for over a century, had a very English influence, resulting in many fine buildings and a higher ratio of parks per head of population than any other town in France. Lourdes: A forty five minute drive takes you to the second most important site for the Catholic Religion. Pilgrims from nations all over the world come to worship at the place where, nearly one hundred and fifty years ago, a young local girl, to Bernadette, claimed to have seen the Virgin Mary in visions. 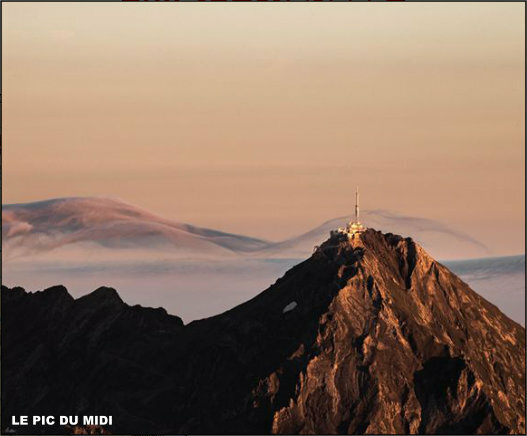 The Pyrénées: Skiing, tobogganing and walking in the winter, fishing, hiking, climbing, rafting, hang gliding and other extreme sports to name but a few, during summer. Visit the many cave formations along the whole mountain range, and see evidence of how our prehistoric ancestors lived. Many breathtaking views – ideal for those holiday photographs. Toulouse: An hour and a half to Blagnac airport, or into the town centre. Visit the old town to enjoy the French atmosphere with its many original churches and buildings, restaurants, theatres and cinemas. Let yourself go for a fascinating journey to the heart of space at the Cité de l’Espace, or discover the largest aeronautic site in Europe and see the assembly lines of the revolutionary Airbus A380 project. Gavarnie: The Cirque de Gavarnie, a UNESCO site, is the best known feature of the Pyrénées, and Gavarnie is the most visited village. Its fame is justified by the impressive natural amphitheatre walls which rise in a sweep of over 1300 metres from the green valley floor. These walls consist of bands of cliffs broken by horizontal tiers of snow and ice which in the summer months give an excellent backdrop for climbers and walkers of all abilities, whilst in the winter months skiers as well as walkers can view some of the most dramatic scenery of the Pyrénéan range including a number of summits in excess of 3000 metres. More details on any of the above destinations and many others not on the list may be obtained from the owners. All you need to know: Michouat – Fishing in the Pyrenees. The area is well served with motorway links to the Channel Ports; Santander and Bilboa (Spain) are an approximate 3½ – 4½ hour drive for those who fancy a leisurely trip by ferry. Ryanair, Flybe, Easy Jet and British Airways, amongst others, fly into Biarritz, Pau, Lourdes, Toulouse and Carcassonne airports.